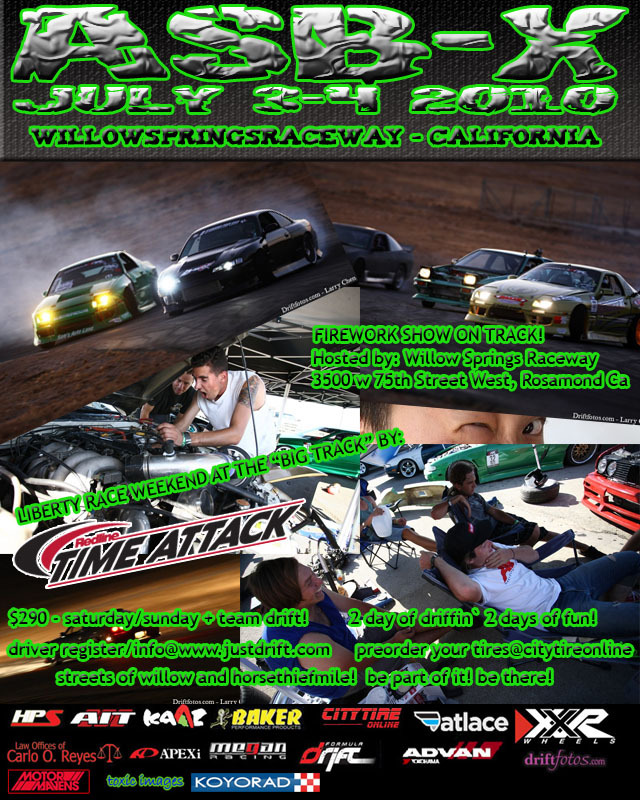 ASBX IS X DAYS AWAY! 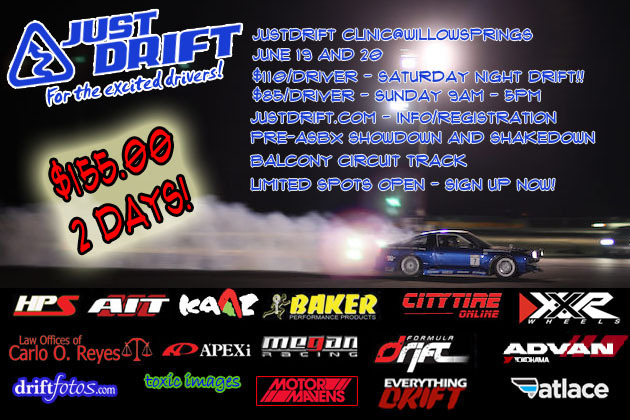 JUSTDRIFT | charlie@justdrift June 22, 2010 | Comments Off on ASBX IS X DAYS AWAY! 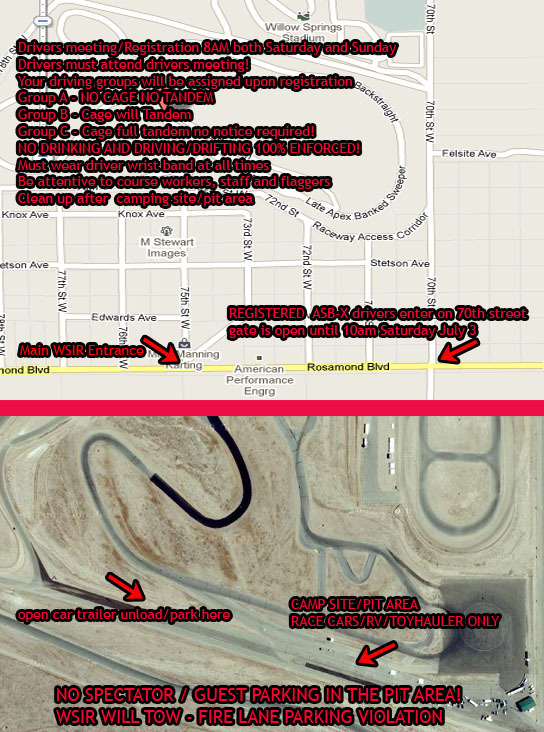 Next event… Saturday and Sunday back to back! We’re back to normal back to back schedule driffin` time! Click on the registration page!